In the wake of the recent, highly publicized debate between Bill Nye and Ken Ham, I ran across this article by Matt Stopera: 22 Messages from Creationists to People Who Believe in Evolution. 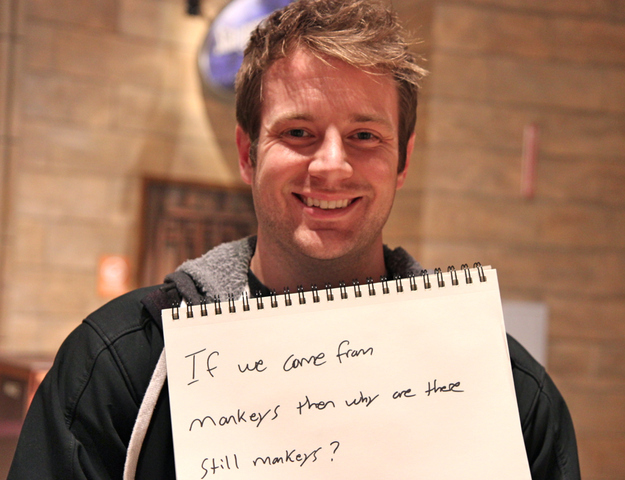 Stopera asked 22 people who identified themselves as “creationists” to write a message or question to evolutionists. Most of the results are groan-worthy.